Firstly, let me congratulate you on your new feathered family member! These birds are amazing creatures and they make phenomenal pets if incorporated into your family life. In fact, I have four ringnecks, 3 Indian Ringnecks and 1 Alexandrine. I love them so much and they are nothing but a joy in my life. That being said, let’s get into answering some of your questions. 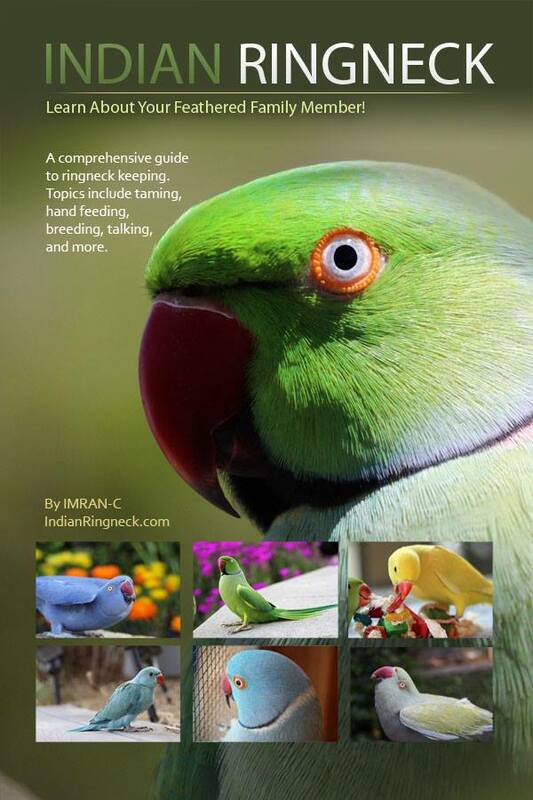 Let’s address the first part of your question about your Indian Ringneck settling down. I don’t know if the bird was hand fed or parent raised, so I’ll just assume the bird has had some human interaction, okay? It is obvious from your question the bird has just been purchased. Considering this, you need to look at the world through the eyes of your new parrot. Right now, the bird does not know your intentions. These creatures are naturally neophobic, which means your new ringneck is fearful of anything new–unfortunately, this means you too. Though this trait may seem counterproductive to your relationship it is a survival skill that really pays off. In the wild, if a ringneck was not so fearful, then it would most likely find itself in messy situations consistently and this could mean its life. 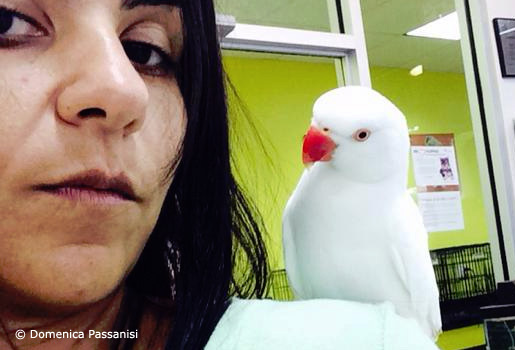 Because your new parrot seems wild, it is important you give the bird more time to get to know you and your family. In fact, you have two choices: 1) You can start a positive reinforcement program to kick start the taming process, or 2) you could just start incorporating your ringneck into your life with handling. I have had success with both methods and so have our members on our forum. For the most part, I always suggest a positive reinforcement program to start taming; however, it seems your bird has had some taming. Because of this, Luna might be somewhat used to having humans around. In such a case, I would dive in and start handling her from the get go. The most important thing when starting any taming program is to be consistent, have a lot of patience, and love. Once the bird becomes tame then it should theoretically settle down and be more open to your company. Now, let’s move into the talking part. It is true Indian Ringnecks are wonderful talkers but that does not guarantee a great talking bird. Most start talking around 7 months to 12 months a slowly build their vocabulary. My Alexandrine, who is supossed to be a wonderful talker isn’t. But that’s quite okay with me as I love him so much. So what should you do to get your bird to talk? Talk endlessly to Luna. It is that simple. The more you talk to her and repeat words, the greater the chances of her mimicking them. You should hear some babbling noises form her. When she starts this, run to her cage and make a big deal her vocal practices. Over time, she’ll see that you enjoy those and will continue this behavior to get your attention. Now, let get into the biting part. It is true that ringnecks can bite hard. In fact, I can tell you first hand I have been bitten by so many parrots. One African Grey parrot bit me so bad I could not use my hand for two weeks. Thankfully, Indian Ringnecks don’t bite that hard but they can draw some blood if you get bitten. Now that you know that, you should avoid keeping the parrot away from your face and ears as these areas are quite sensitive. Only when the bird becomes predictable do I adive placing the creature on your shoulder, until then use caution. I will add that my birds all enjoy sitting on my shoulder and I have been bitten on the face, so i’ll leave it up to you. I hope this helps point you in the right direction. I have linked the forum towards the top of this reply . Please join our ringneck family. I promise you won’t be dispaointed as we have the best family around!